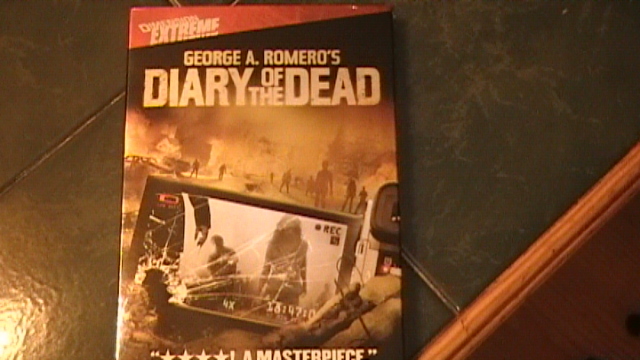 I received George A. Romero’s newest addition to his ever popular “of the Dead” series, “Diary of the Dead”, late last Saturday night. and I spent the better part of that Sunday watching the hell out of it. Although I can’t say “Diary” is the best zombie movie I ever seen, the fantastic use of the newly popular handy cam style, and the all out ballsyness of the production crew definitely qualifies this for the top 5. A fantastic use and expansion of the “handy cam” filming style. Solid commentary on culture today. A triumphant return to the classic low budget zombie flick. Basic CGI and plot hole cheating. Some could believe I trusted Mr. Romero a bit to much, seeing I purchased “Diary” without even attending the theatrical run (which was incredibly limited), but that trust was well founded. “Diary of the Dead” is a really interesting look at how the Internet and new media changed the way we get our information and live our day to day lives. This movie is undoubtedly a solid rental, but if your thing is walking deadw or new and inventive styles of film making I can’t recommend this movie enough for purchase. Running time of an hour and thirty six minutes. Plus rewatching it with director’s commentary. Plus 2 or 3 small DVD features, and outtakes. And 5 contest winning short zombies films. I can estimate about 5+ hours until I reemerge. Whenever I say that I enjoy a good zombie movie I always get sicken looks and sad faces because most people assume I only enjoy the gore, which is not the case. The thing I enjoy most about zombie movies is the heightened survivor aspect. Whenever you put a character up against unconquerable odds it always makes a great movie, but when you put said character up against thousands of blood thirsty unconquerable odds you can really see what they are made of. 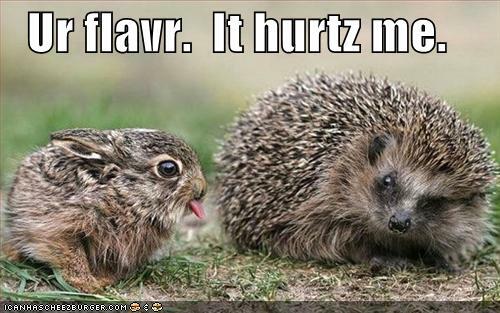 Happy Easter to you and yours from all of us at Caveman World Headquarters. I’ll be here enjoying this beautiful day with my Hot Pockets and a few zombie movies (get it? ).